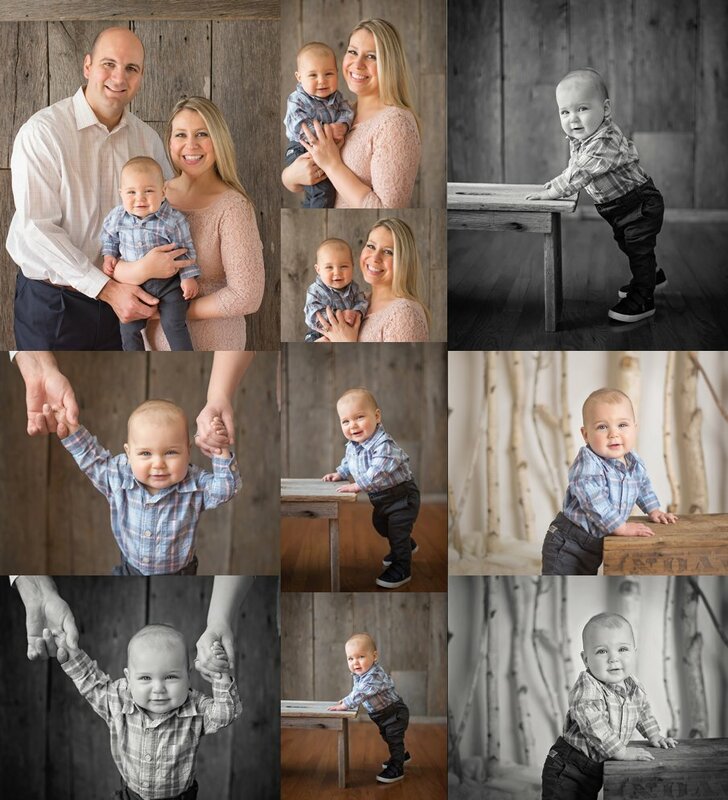 The G family came back to the studio for Mr. P's nine month milestone session last weekend. It was still chilly out but the snow melted off the tulips just in time. Mya really wanted a few shots outside to show that it was Spring. It was a good thing there were a few tulips up in the outdoor studio. And the sun came out nice and bright for us as well. Mr. P was on point for the entire session. He was smiling and making great eye contact with me. I just love this age. There are so many benefits to being part of the baby plan program. 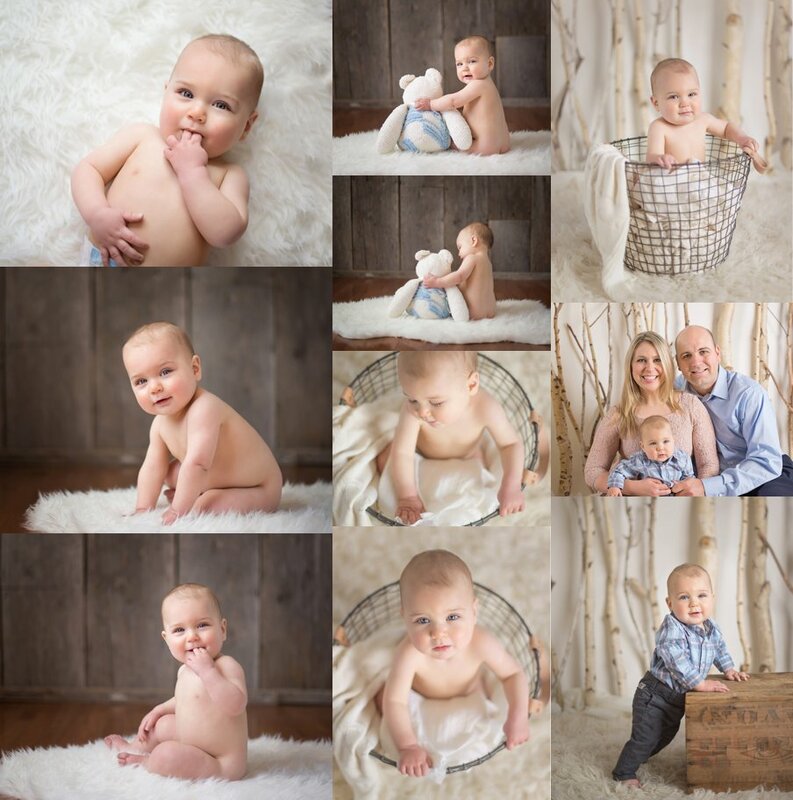 One benefit is getting to capture all the milestones of your baby's first year. 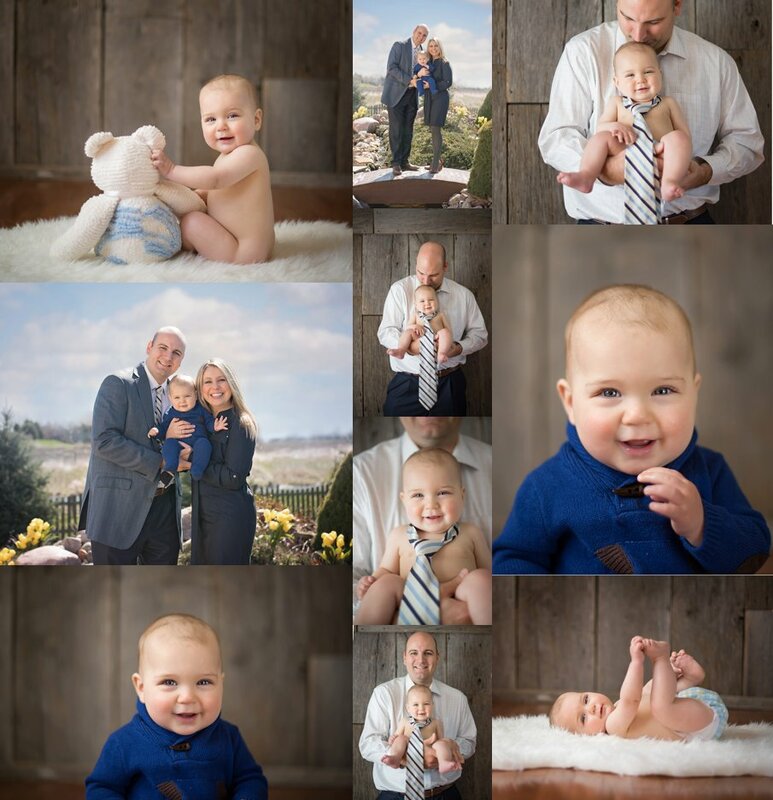 Here are all of the photos from Mr. P's session. I just could not pick a few to share. I had to share them all!